At 6-foot-4, 190-pounds Sabol doesn’t own the prototypical strong, stout catcher’s build, but he still shows strong defensive chops behind the dish, as he receives the ball well and is athletic and flexible. Additionally, he flashes solid arm strength and the ability to control the running game. 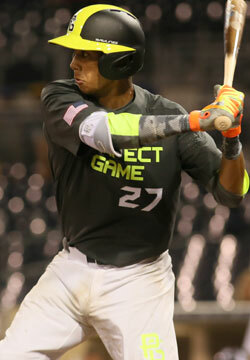 At the plate, Sabol shows good bat speed and a fluid stroke that is conducive to spraying line drives from gap to gap.